Remove the MAP Sensor from the back of the plenum to allow the motor to be tilted down at the back. Raise the car using stands or a hoist. 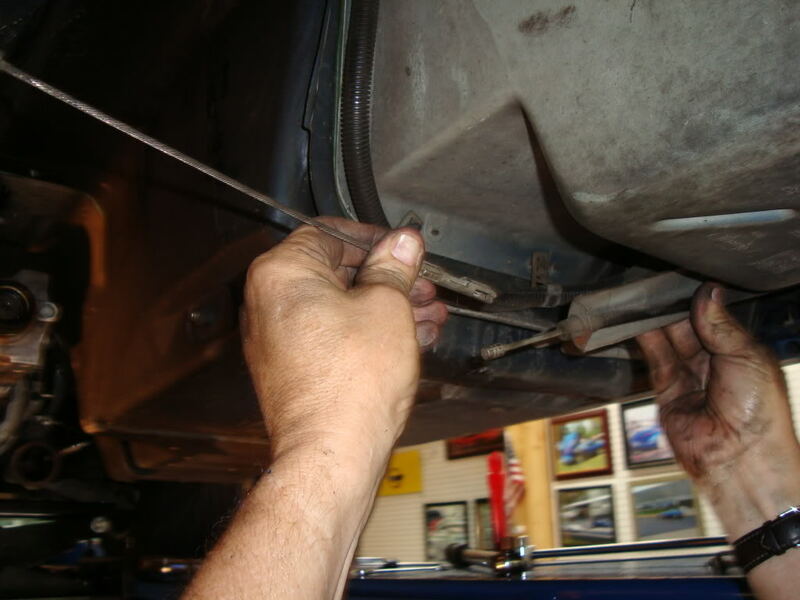 Disconnect the emergency brake cable where it passes under the C-beam near the differential. This is accomplished by unbolting the e-brake cable guide from the passenger side frame rail and provides enough slack to separate the e-brake cable in the center. Support the rear of the engine with a jack and remove the C-beam bolts using the 13mm sockets. 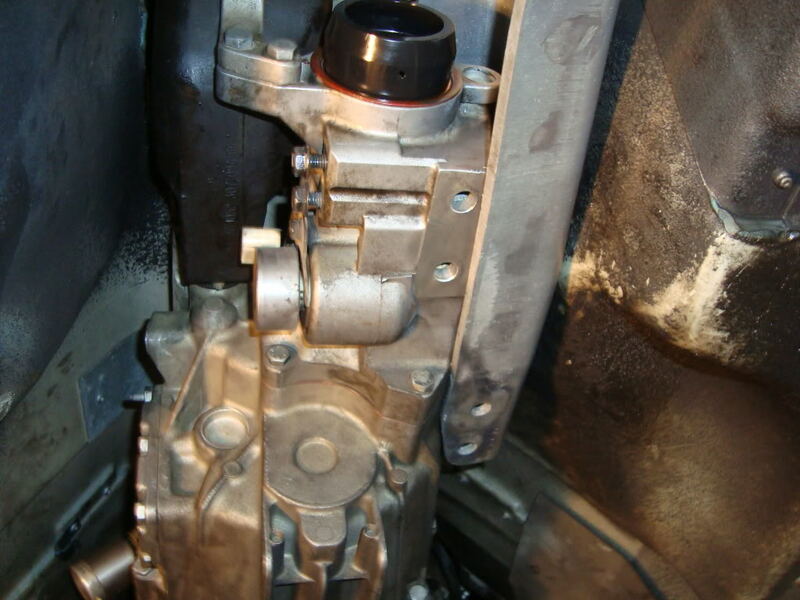 Slide the C-beam forward on the transmission until the rear is clear of the differential housing. Using the jack supporting the engine, lower the back of the engine so that it tilts down. This lowers the rear end of the C-beam below the differential. Remove the C-beam from the car by pulling backwards. Clean the contact areas of the C-beam, transmission and differential to ensure that drive train rigidity will not be compromised on re-installation. Re-install by reversing the steps . Reconnect the MAP Sensor. Torque specs: 37ft/lb at the transmission and 59ft/lb at the differential.